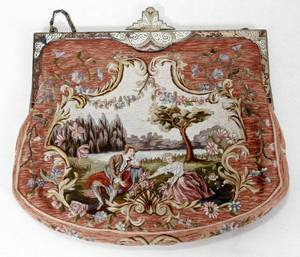 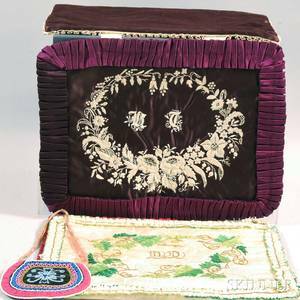 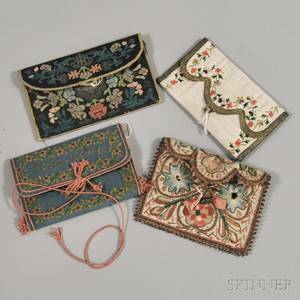 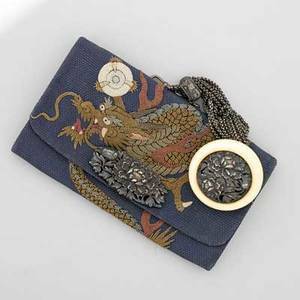 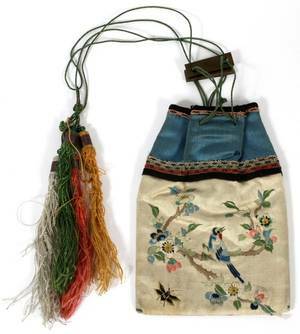 Embroidered Silk Purse, France, 1900-1925, cream-colored silk with multicolored silk and metallic embroidery of chinoiserie figures and architectural elements on gold-tone frame with inset blue and white rhinestones. 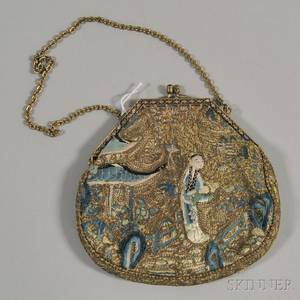 Provenance: Formerly property of The Metropolitan Museum of Art, New York. 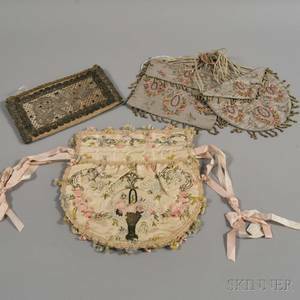 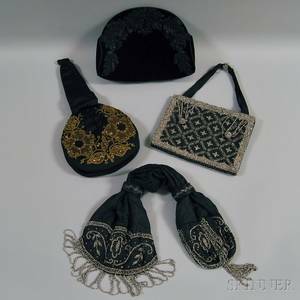 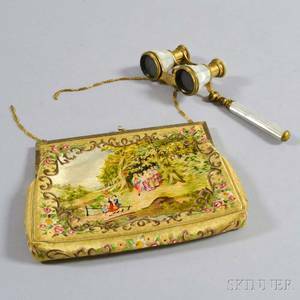 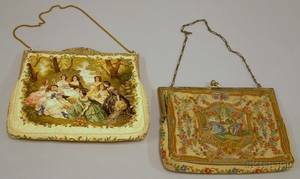 Pair of Marchand Mother-of-pearl Opera Glass and an Embroidered Silk Purse.